When creating Presidio cases, Speck took design inspiration from the fashion runways, movies, music festivals, and many other cultural influences. Out of that inspiration, we created four distinct themes for our Presidio cases that match every style and personality. The themes are especially obvious with our Presidio INKED cases, which feature vivid patterns with both matte and glossy finishes. Though INKED cases are beautiful, they do not sacrifice protection for good looks. Each case features the IMPACTIUM Shock Barrier, which absorbs shock on impact and provides protection from drops up to 10 feet. Read on to learn more about the design themes we created for Presidio and how they are reflected in our INKED cases. Taking cues from the night sky, we’ve created a Deep Space theme with sparkly, iridescent, and otherworldly elements. This shows up in our Milky Way and Dark Moon INKED cases. Milky Way shows off a striking image of outer space, while the Dark Moon case features a close up landscape photo of Earth’s moon shot by astrophotographer Robert Reeves. Breezy, romantic, and delicate details dominate the Big Sky theme, which features pastel pinks, purples, and mauve hues. Our design team created this theme to emulate music festivals in the desert, with soft colors and floral designs. 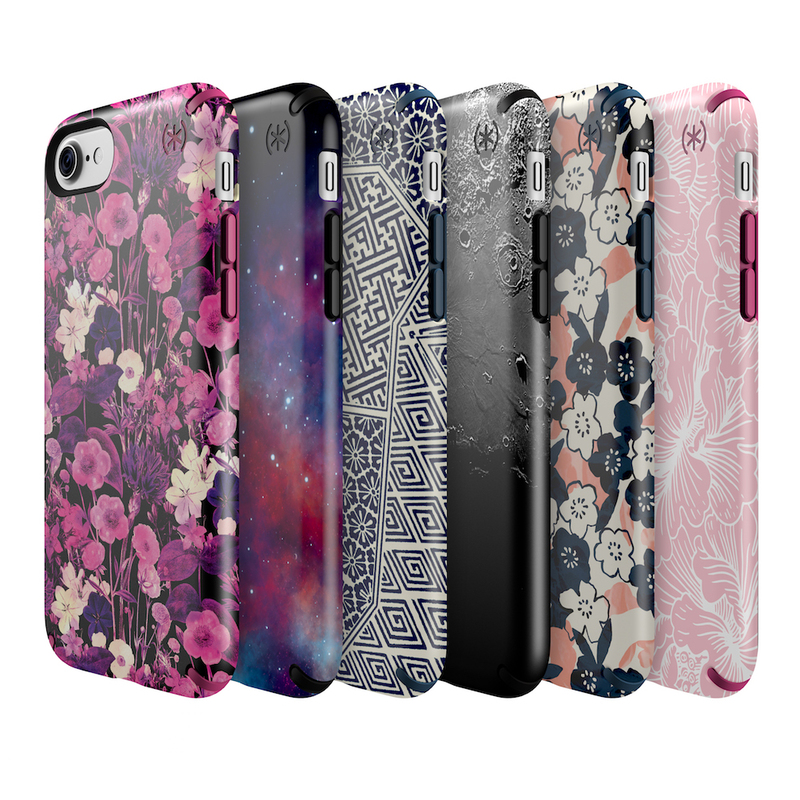 You’ll find the Big Sky theme in our Watercolor Floral Purple INKED case. Soft colors and natural elements influenced the Open Horizon theme. There’s a strong focus on nature, with the bold floral motif on the Marble Floral INKED case. The pink-orange hues are a nod to the sunset, while the darker navy represents the night sky. With deep, saturated colors and bold floral designs, Silk Road embodies fall and fashion. Pink, purple, silver and navy are key colors and there’s a focus on ornate designs. You can see this in the rich Flower Etch Pink Metallic and the exotic Shibori Tile Blue INKED cases. Whether you’re drawn to outer space designs, prefer bold patterns, or fall in love with soft florals, there is a Presidio INKED case for you. The designs are available now on Speck’s website, starting at $44.95.